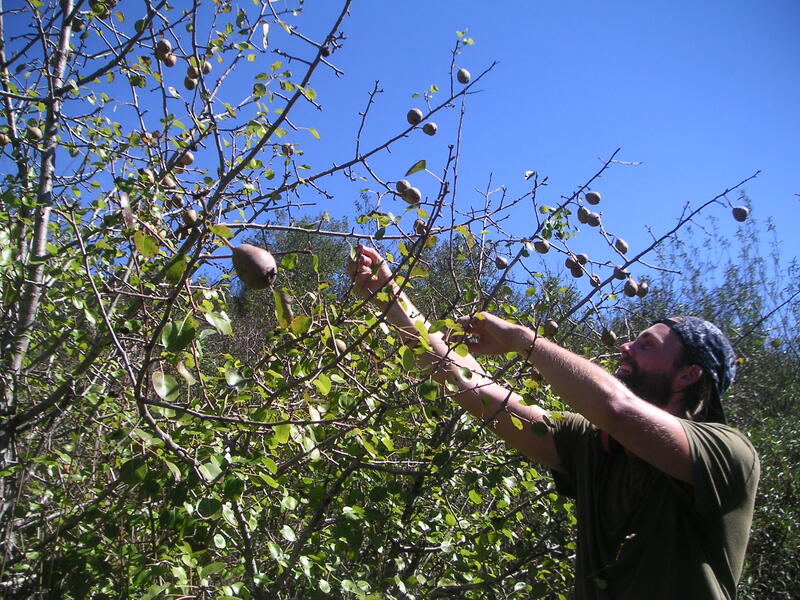 Adventurous eating, the wild pears and tree strawberries (Medronho) ripening on Osholand these days. Today we went to check details of the new elevation maps made by the surveyor. In order to get at the waterlines and around the future lake site Marcel cleaned some tracks with the bushcutter. The land looks healthy and peaceful and it seems to radiate happiness, strange as that may sound.